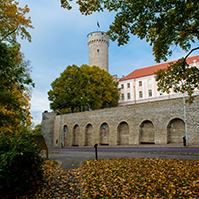 The autumn session of the Riigikogu began. 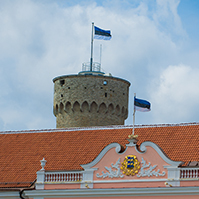 At the opening of the 8th session of the 10th plenary assembly of the Riigikogu the President of the Riigikogu Toomas Varek and the President of the Republic of Estonia Arnold Rüütel made speeches. 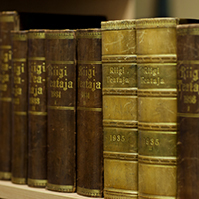 Then the Riigikogu heard replies of ministers to five interpellations, submitted by members of the Riigikogu. Minister of Culture Raivo Palmaru replied to the interpellation (No. 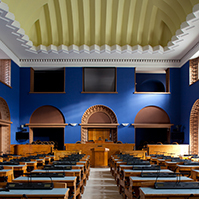 243) concerning the public law media, submitted on 15 June by Members of the Riigikogu Andres Herkel, Peeter Tulviste, Taavi Veskimägi, Juhan Parts, Olav Aarna, Ela Tomson and Mart Nutt. Minister of Culture rejected the accusations made against him about supervising the press. Mr. Palmaru said: “The discussion about the press and the critique aimed at journalists is neither about personal questions, declaration of communism nor the sabotage of democracy. Discussions about the media are welcome in a free society. Unfortunately it is not allowed in our country to criticize media. Minister of Internal Affairs Kalle Laanet replied to the interpellation (No. 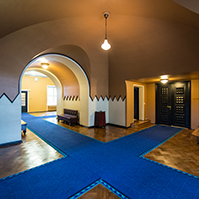 232) concerning the collection of information about the meetings of Estonian politicians abroad, submitted on 8 May by Members of the Riigikogu Sven Mikser, Eiki Nestor and Mark Soosaar. Minister of Justice Rein Lang replied to the interpellation (No. 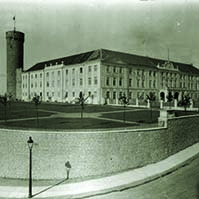 233) concerning imprisonment as a kind of punishment, submitted on 9 May by Members of the Riigikogu Avo Üprus, Andres Herkel, Peeter Tulviste, Mart Nutt and Trivimi Velliste, and to the interpellation (No. 237) concerning the maintenance of commercial register, submitted on 11 May by Members of the Riigikogu Indrek Raudne, Mart Nutt, Helir-Valdor Seeder and Urmas Reinsalu. Minister of Agriculture Ester Tuiksoo replied to the interpellation (No. 241) concerning the activities of the Supervisory and Management Boards of AS Werol Tehased, submitted on 1 June by Members of the Riigikogu Andres Herkel, Indrek Raudne, Mart Nutt, Tiit Niilo, Henn Pärn and Eiki Nestor.